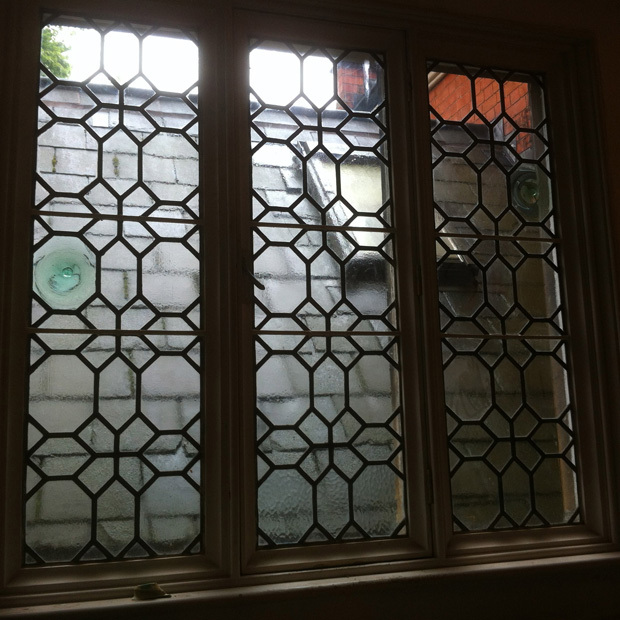 Our client’s three light window within a Victorian period house looked out onto a pitched roof. They did not like the view and wondered what the costs would be to replace it with new leaded light windows in a textured glass. 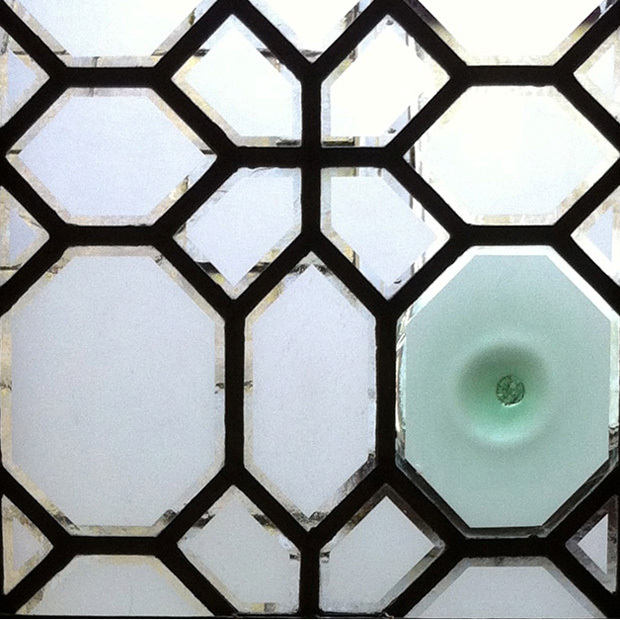 The 1930’s windows were structurally sound and an attractive pattern with some nice glass bullions. 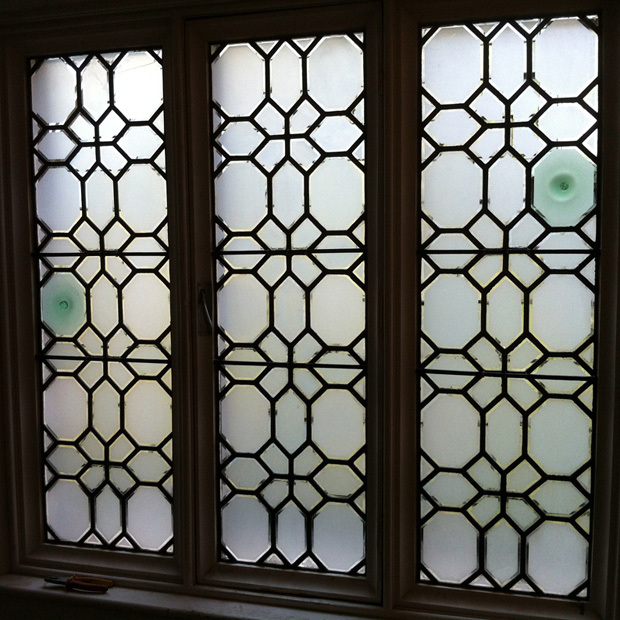 I suggested removing the leaded lights repairing the broken panes, and sandblasting each individual pane leaving a clear border around each piece. This has created a very stylish and dynamic effect, which is constantly changing as you move around the window. It is still in keeping with the building but now looks very clean and contemporary and obviously obscures the view. It was also a very cost effective solution to replacing the three leaded lights.